Added by Indo American News on February 4, 2019. HOUSTON: For pomp and pageantry that highlights the diverse cuIn the recent Vibrant Gujarat Summit 2019, inaugurated by Prime Minister of India Narinder Modi, two Texas based non-profit organizations have signed Memorandums of Understanding with the Government of Gujarat for imparting knowledge and service in the field of Sanskrit, Hindi Ayurveda and Yoga. Though the Vibrant Gujarat Summit 2019 is meant for business and investment; realizing the power of knowledge and worldwide acceptance and growing popularity of Sanskrit, Ayurveda, Yoga and Hindi, the Government of Gujarat welcomed SAY International and Vidya Dham USA- both Houston based non-profit organizations – to sign MOUs for the exchange of knowledge. It is a matter of pride for Texas and especially for Houstonians that such a knowledge-based MOU has been signed with an Indian State Government. 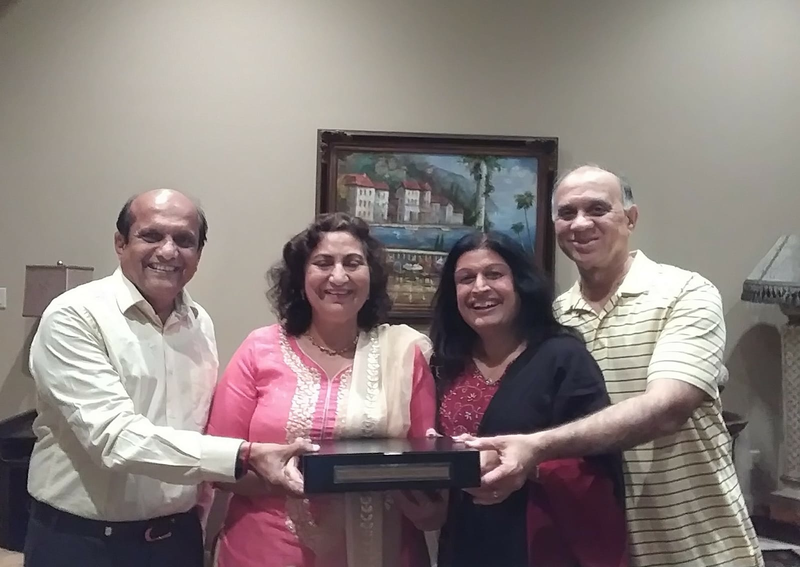 Dr. Falguni Gandhi of SAY International and Dr. Sarita Mehta of Vidya Dham USA are promising women worthy of accolades because of their selfless service to the Indian community in Houston. Pradip Parekh, a government official of India who was instrumental in turning the dreams of these two promising ladies into reality, recently visited Houston last week and the three parties signed the formal MOU which carries some support from the State of Gujarat. Now the big task ahead for these NGOs to chalk out programs in their fields to serve to the people of Texas and USA as well.